A spirited lady facing spinsterhood. A common man with a noble mission. 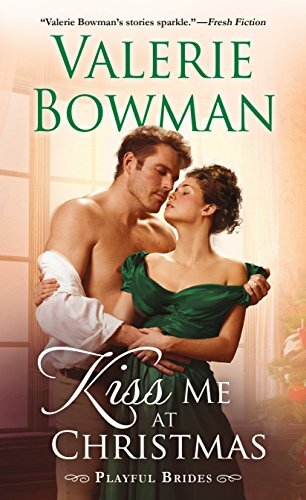 And a surprise that just might be waiting for them under the mistletoe in Kiss Me At Christmas by Valerie Bowman. Regina has one mission: to find a night of passion in the arms of a gentleman. Considered firmly on the shelf, Regina has given up on marriage—but that doesn’t mean she wants to be denied the pleasure married ladies experience. Daffin has long captured her attention…and when a threat calls him to her side, the sparks between them ignite. But how can a hired bodyguard find his way into Regina’s noble heart? I received this book from the publisher in return for a honest review, all thoughts are my own. Regina is a month away from reaching thirty and she has something very special she wants to giveaway. So she comes up with a plan, now some plans work and some don't, yep this one backfires big style for Regina. Because the person who she wanted to receive the gift is Daffin Oakleaf, now its not because he doesn't like Regina, because he does, oh no its because he thinks he's of a lower rank. Now you are probably wondering that's it they aren't going to get there HEA. Now you would thinks that was the end, oh no fear not my intrepid readers, the road to a HEA is not lost, it just takes a different path. Daffin's friend Mark Grimaldi needs his help and of course that means he will be seeing a lot of Regina again...but it means that Daffin is going to be with them over Christmas, which is a holiday Daffin hates. Overall this was a great read, set over Christmas and there was also drama which helps with Daffin and Regina's HEA. 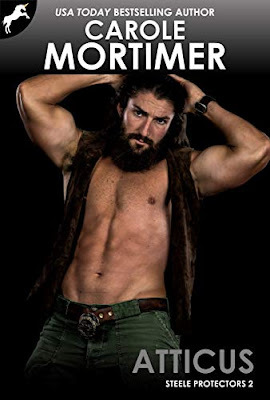 I will gladly give this 5/5 stars. The book is on pre-order at Amazon UK and the book is released on 30th October.